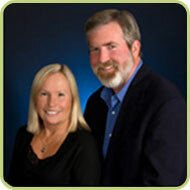 Mark and Chris Larson are the owners of Deschutes Driver Education, Inc. and the primary instructors for the program(s). Both have been trained and certified by Oregon Department of Transportation for Classroom and Behind-the-Wheel instruction. Mark and Chris have also been tested, licensed and certified by the Oregon Department of Motor Vehicles. Chris has taught Driver Education with Deschutes Driver Education, Inc. since 2008 and previously with the Bend-LaPine School District and High Desert ESD since 2003. As a certified middle school teacher, Chris has taught science in the Bend-LaPine District for 35 years. Mark has taught Driver Education with Deschutes Driver Education, Inc. since 2008 and previously with the Bend-LaPine School District and High Desert ESD since 2007. Prior to relocating in Bend in 2005, Mark worked for Portland’s MAX Light Rail Transportation District, retiring as the Manager of Maintenance of Way. Mark and Chris are very friendly, positive and believe in an interactive and participatory learning environment. In keeping with this belief we limit our classroom sessions to 10 students per instructor all Behind-the-Wheel lessons are one student to one instructor in the car.